The EMD FP7 was essentially a variant of the F7, and its intent was for use in passenger service. Internally and visually, the locomotive was virtually identical to its counterpart save for its extra length to accommodate a steam generator. Railroads found that Fs, with their better tractive effort performed much better than Es in passenger service on routes with stiff grades. However, as a freight model lacking steam generators it was not a possible unless a separate heating car was used or Es were in the consist. 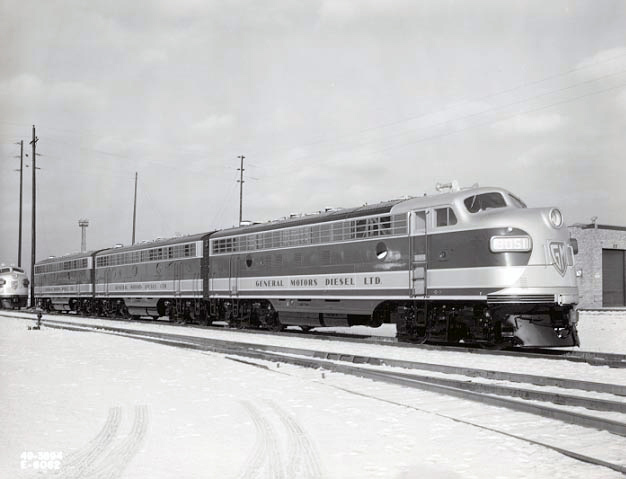 EMD corrected the issue with its FP7, released in the late 1940s, built at the same time as the F7. 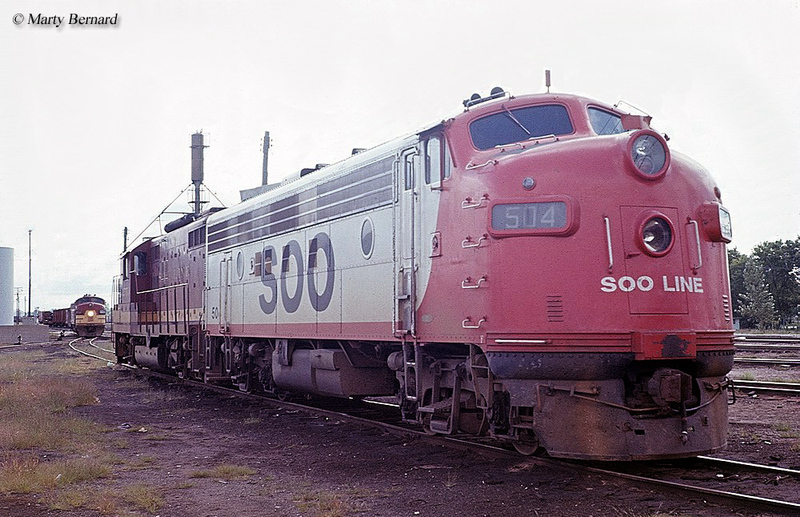 Surprisingly, for a variant model the locomotive sold quite well with nearly 400 examples manufactured (including those constructed by General Motors Diesel of London, Ontario). Today, numerous FP7s remain preserved and in operation around the country. The FP7 began production in the early summer of 1949 as a means for railroads to have a streamlined diesel pull passenger trains over stiff grades, a task for which Es were not well suited given their A1A-A1A truck setup that provided relatively poor tractive effort. Several lines attempted to retrofit their F3s to carry steam generators but the engine compartment did not have sufficient room for both the generator and water supply needed. The Santa Fe attempted to get around this by placing a generator in an F3A and the water in the accompanying B unit. Such a maneuver did work but always required the need for two units in every train consist thus increasing operating costs. Realizing this problem and railroads' desire to use the four-axled freight model in passenger operations EMD cataloged the FP7. The locomotive was 54-feet in length (four feet longer than the standard 50-foot carbody of standard Fs) thus enabling the engine compartment to hold both the needed water and generator. Aside from these added components the FP7 was identical to the F7. 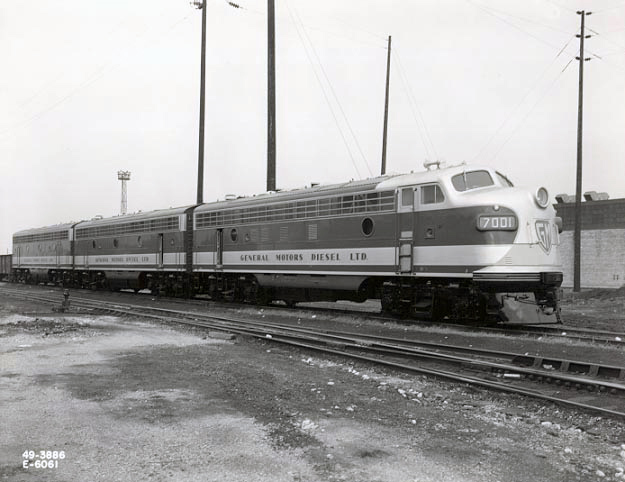 It featured GM's 16-cylinder model 567B prime mover that could produce 1,500 horsepower and carried the company's D27C traction motors which offered 40,000 pounds of continuous tractive effort (and a mighty 64,000 pounds starting, then the most of any F available in EMD's catalog). It did, however, use a slightly upgraded main generator, the model D12D and featured dynamic braking a staple of Fs (multiple-unit control as also included). Since the FP7 already housed all of the components needed for passenger service there was little need to produce cabless Bs (although some railroads did purchase F7Bs for extra horsepower and tractive effort to accommodate their FP7s). Compared to the success of the FT, F3, and F7 the FP7's sales numbers appear very low; only 324 were produced by the time production ended on the model in late 1953. However, the FP7 solved a specific and very important need for railroads operating passenger trains in mountainous terrain. Looking at the locomotive from this angle it was actually a resounding success. A little more than two dozen railroads bought the FP7 along with foreign lines Arabian American Oil Company, Ferrocarriles Nacionales de México, and Ferrocarril Sonora-Baja California. For General Motors Diesel, it sold another 57 to the Canadian National and Ontario Northland Railway (the CN also bought 29 F7Bs to go with its order). Interestingly today, numerous FP7s remain preserved, many that are still operable particularly in excursion service (so in a way, these are still used in their original capacity). Tourist railroads like the West Virginia Central, Stone Mountain Railroad, and Verde Canyon Railroad all use FP7s. Additionally, R.J. Corman operate a few on its dinner train and the Canadian Pacific uses a fleet to power the luxurious Royal Canadian Pacific train.